The very essence of great security is controlling who comes in and out of your premises, whether that’s your home address or place of work. 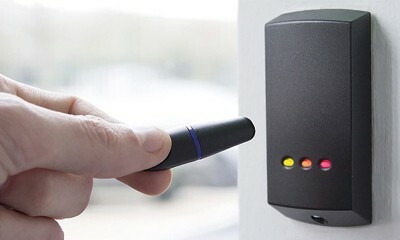 Shebang Security is well equipped to design, supply and install an access control system that suits your specific situation and complies with security industry and insurance standards. You want to know you’ve got the right system, installed properly and for the right price. Our security engineers will listen to your needs, understand the nature of your business (for commercial installations) and advise accordingly – so you get a system that’s just right for you. INVEST NOW TO PREVENT UNAUTHORISED ENTRY TO YOUR BUILDINGS. 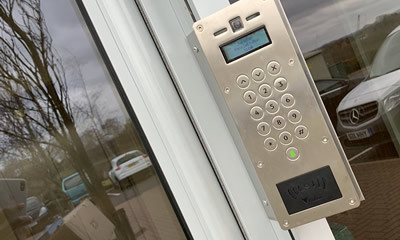 DOOR ENTRY SYSTEMS - where people can access a building using a two-way speech facility/intercom or card or fob reading technology. 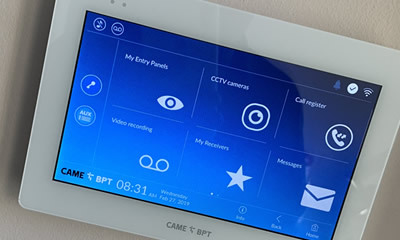 A computer-based system can be linked to CCTV systems and Fire Alarms, if required. These systems are an increasingly popular security feature and are commonly used in blocks of flats and other private residences as well as many commercial settings. WIRELESS SYSTEMS – this utilises a phone line or mobile SIM card so there is no need for expensive cabling or handsets. Wireless door entry systems are a popular option for historic or listed buildings, where there are specific planning and conservation constraints to consider. They are simple to install and can use an existing wireless network or a dedicated one can be installed. LOCKSMITH SECURITY – we offer tough, manual locking systems that can work for high-value items or safety security boxes. We can also discuss other option with you, including easy-to-install touch screen door entry monitors, which provide a stylish security option. Shebang Security has vast experience installing, maintaining and repairing quality door entry systems in all kinds of premises and a diverse range of configurations. 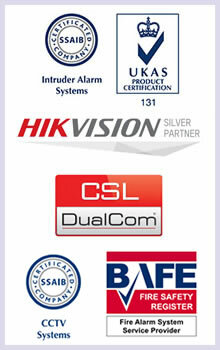 All of our security engineers are fully trained to the highest standards.